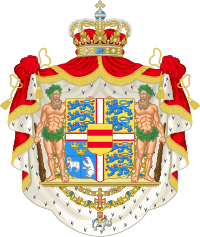 Happy 79th Birthday to Count Ingolf of Rosenborg! Happy Birthday to Count Ingolf! Happy 79th Birthday to Queen Margrethe!!! Happy Birthday to HM the Queen! A very Happy 79th Birthday to HM the Queen! Happy birthday to Queen Margrethe! Happy, Joyous Birthday to Queen Margrethe II!! Happy 12th Birthday to Princess Isabella!! Happy 12th Birthday to Her Royal Highness Princess Isabella of Denmark, Countess of Monpezat! Happy Birthday to Princess Isabella. Happy 12th Birthday to Princess Isabella! Happy belated birthday to Princess Isabella!